In recent days, the news has been filled with reports of hurricanes barreling toward the Caribbean and southern states. After the swirling masses pass through, weaken, and blow themselves out, the reports come of devastation—deaths, lost homes and possession, and wrecked lives. My husband and I are in the middle of a uncharted storm, an unexpected event that has us wondering why and what’s next. Although we sensed some dark clouds gathering and maybe heard a distant rumble of thunder, we really weren’t expecting what occurred. That’s the way it is most of the time. 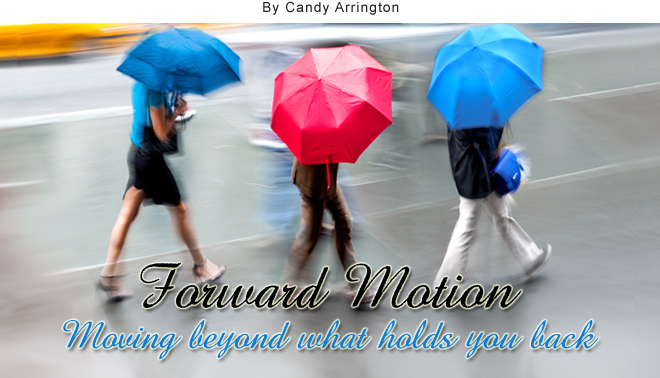 Even when there is a slight shift of the wind or darkening skies, we hardly ever see life challenges on the horizon or realized they are gathering momentum, headed directly toward us. Threat assessments and warnings – Weather prediction is so advanced now that hurricanes rarely strike without lots of advance warning. Threat assessment begins when rotation is barely perceptible, still far out at sea. Not so in our lives. Devastating life events catch us off guard. Even with some hint of warning, we’re often unprepared for the extent of the damage. In some cases, once the worst passes, it may appear you’ve escaped unscathed only to discover hidden damage much later. 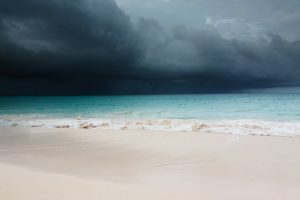 Riding out the storm – Even with warnings, many people decide to weather storms in place, perhaps feeling they can protect their homes simply by being there, as irrational as that is in the face of a major weather event. Riding out an emotional storm is different. While there is a tendency to close ranks, bolt the doors, shutter the windows, and hunker down, that’s not the best way. Going inward cuts you off from friends and family and leaves you devoid of wise counsel and the prayers of others. When a life event leaves you drowning in emotional turmoil, don’t distance yourself from those who are willing to throw you a life preserver and reel you in. Clean up – For houses damaged by high winds and flooding, there is no option but to wade in and do the messy, exhausting, back-breaking work of cleaning up. A personal storm is similar. You have to dig through the mess, process the emotions, chart a new course, and take the next step. It’s tempting to give up, but if you hope to regain forward motion, standing in the muck and feeling sorry for yourself isn’t the answer. Finding Perspective – Many of those interviewed about their losses have already grasped proper perspective about their situation. They express thanks for help and survival and give priority to loved ones are over possessions. In dealing with a life event that feels devastating, your response is crucial to recovery. Gaining perspective is an important part of assessing your situation and moving on. While discouragement may nip at your heals, trust that better days are ahead and God’s help is only a prayer away. With a life event that feels devastating, your response is crucial to recovery.